With the Pride of Canterbury you'll experience a little luxury on your channel crossing. With a great choice of places to eat and drink as well as a shop, you'll also find a club lounge, kids play zone and comfortable seating areas. 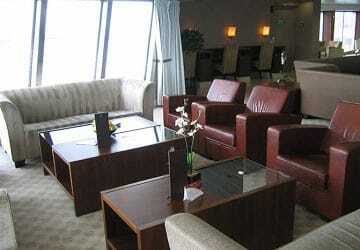 There are no passenger cabins however seating is available in the club class lounge. 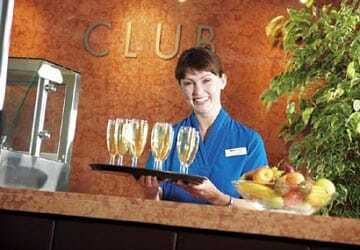 Pre-book to enjoy a touch of luxury including a complimentary glass of champagne, tea, coffee, soft drinks and newspapers – all served by friendly stewards. 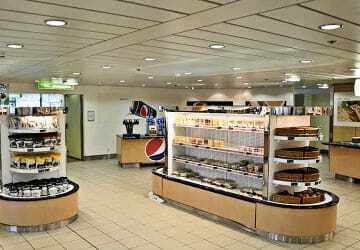 There's a choice of places to eat and drink onboard to suit all tastes and budgets. If you are travelling with the family then head to the Food Court, serving exciting cuisine from around the world. If you prefer to dine in style, why not try The Brasserie, with the highest quality food and wine served to your table. 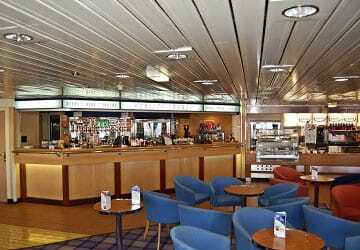 There's also a Costa Coffee serving light snacks and pastries and a wide range of hot and cold drinks. 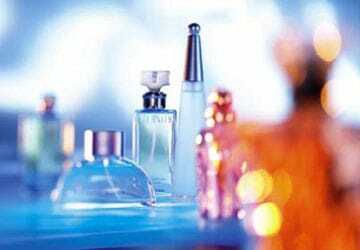 There are some great bargains to be had in the onboard shops with literally hundreds of products considerably cheaper than you can find anywhere on the high street. You’ll also find Video games arcade, wifi, a commission free bureau de change and an ATM machine. 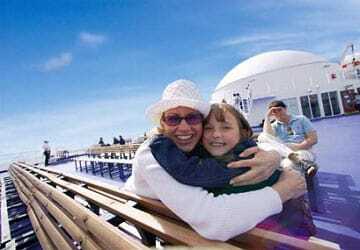 Keeping children happy during the ferry crossing is something P&O Ferries take seriously. 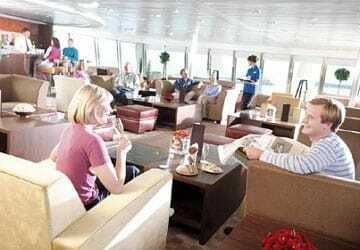 Onboard you'll find a variety of play areas and activities and kids menu's in the eating area. If notified or requested staff will meet and assist customers with wheelchairs on the vehicle deck. All shopping, dining and seating areas are wheelchair friendly. Please Note: Whilst we have taken great care in making our Pride of Canterbury guide as accurate as possible, onboard facilities, services and entertainment may vary depending on the date and time of year that you travel, facilities mentioned may change without notification and ferry companies reserve the right to operate vessels other than those mentioned at time of booking without prior notification. A thoroughly enjoyable trip. The staff were polite, cheerful and helpful. The crossing was a smooth one thanks to the weather and P and O. It all ran like clockwork, very smoothly and efficiently. Booked online arrived at port no paperwork needed or print off or phone email confirmation knew about our booking from the car registration scan before we pulled up. Arrived 45 mins too early so offered earlier sailing drove straight on and pulled away within 5 mins from the dock. 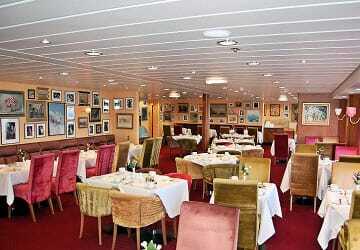 Arrived early as sailing left 5 mins early, very quiet on board so that always makes it a nicer experience . Very punctual, easy & stress free experience. We made great time, & boarding & unloading was very quick and orderly. The ferry was prompt, easy boarding, not too busy and helpful staff. "P.O (UK port) V's DFDS (Dunkirk port)"
I must say that the French side workers in Dunkirk (DFDS) were far more polite than the English P.O workers in Calais. Which makes me think = who hires these miserable people, get rid of them and take on Happy workers. Should have an employment policy = wake up miserable = don't turn in for work. Get it sorted !!!!! My rating are based on the DFDS Dunkirk, P.O. are all zero rating. Fast loading and unloading. Clean ship generally. Food great (lasagne and chips). Friendly staff. The trip was short, on time and went smoothly, good job all. 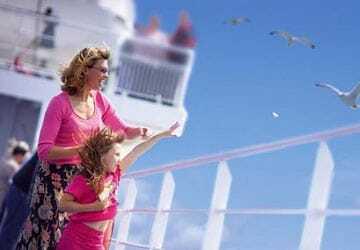 We travelled to UK and took P&O. First time for our kids and we really wanted them the feeling to travel across the sea to get to the UK, seeing the coastline of France disappearing and that of UK approaching. It was an amazing experience of course. As we both times were very early at the check-in and they had free space, we were askey to go on the ferry earlier and that was great. Kind and friendly sraff and great to have the open terrace at the back of the boat and the huge windows at the front, so target met. "Excellent - great trip both ways"
Really enjoyed the journey. Great facilities and all ran on time. Only 5 mins late but well communicated. Went flexible (not fully flexible) and they loaded us onto a boat a day early for no extra cost. Had a meal for five on board and it was hot and fresh food. Impressed by that and the cleanliness of the toilets. All in all very impressed. 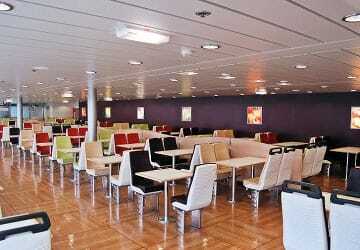 "Travelling from calais to dover with P&O"
Easy to book and great service on board. 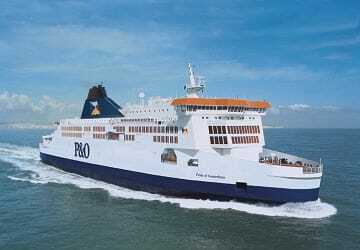 Only complaint was I booked through direct ferries but didn't receive and booking reference for my booking had to contact P and O direct to get these details. The ferry itself was brilliant!